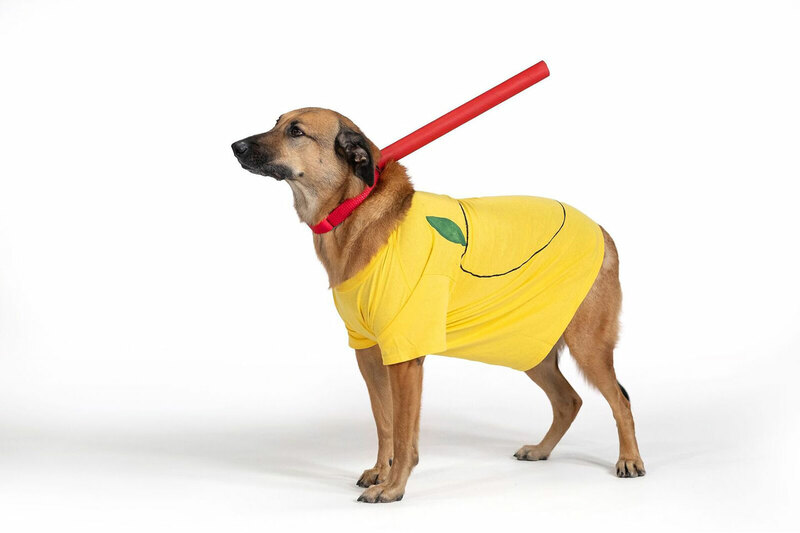 Simple and clever costumes for the whole family – pets included. Fall is in the air – which means cooler weather, football season, pumpkin carving and coming up with the perfect Halloween costume, of course! Whether you’re looking for a costume for an adult, child, your family pet or all of the above, Chick-fil-A has you covered with three simple DIY costume ideas. Each costume can be made almost entirely from items found around the house, and they take 30 minutes or less to assemble. Any true Chick-fil-A fan knows that Chick-fil-A Sauce makes everything better. Why not transform your favorite sauce into your new favorite Halloween costume? We created ours to fit a small child, but the concept can also be adapted to fit a child or adult of any age! Let’s be honest, any costume worn by a pet is automatically cuter. The same goes for our Chick-fil-A Lemonade costume! It’s sweet and lovable – just like your favorite four-legged friend. 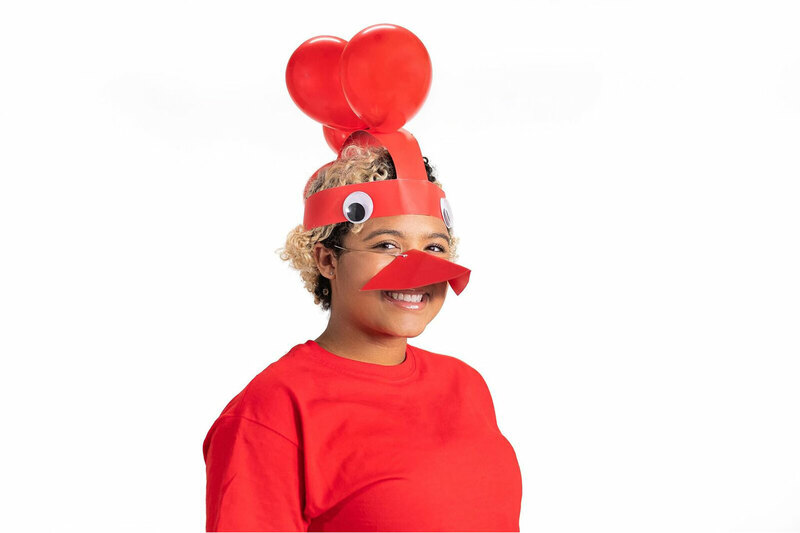 A costume resembling the iconic Chick-fil-A logo is the perfect finishing touch to this costume trio that will have your friends and neighbors commenting on how creative and clever you are. Don’t worry, we don’t mind if you take the credit! While these costumes are adorable on their own, they’re even better when worn together as a group costume. If you give them a try, please share your recreations with us on social media by tagging @chickfila on Instagram or Twitter. Forget ghosts and goblins, these Chick-fil-A-inspired Halloween costumes are scary good. Check out some of our favorite ways that guests paid homage to Chick-fil-A on Halloween this year. Do you enjoy dressing up in spots for Cow Appreciation Day each summer? Then you’ll love dressing up like the Chick-fil-A logo for Halloween this year! Forget the tricks, in less than 20 minutes, you can easily make a fun, creative costume that’s sure to be the hit of any Halloween party. Halloween is just around the corner, and we’ve got the secret sauce for the perfect costume. 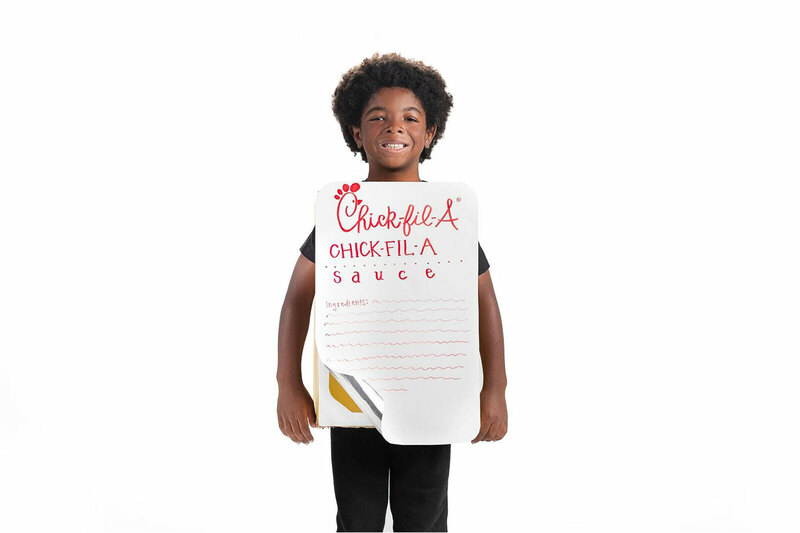 While Chick-fil-A Sauce is the perfect addition to a nugget tray for any Halloween party, it shines as the main attraction for this unique children’s costume idea.